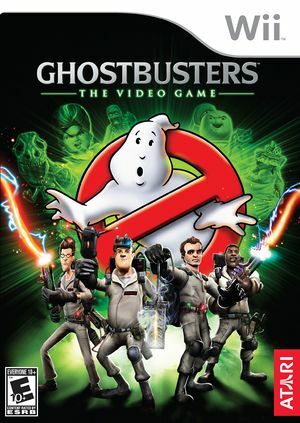 Ghostbusters: The Video Game is a 2009 cross-platform action game based on the Ghostbusters film franchise. The game follows the player's character as a new recruit in the Ghostbusters, a team of parapsychologists who pursue and capture ghosts. The game features elements of typical third-person shooters, but instead of using a traditional gun, players are equipped with a "Proton Pack", a laser beam-like weapon, and a ghost trap to fight and capture ghosts. The game's plot is set two years after Ghostbusters II, around Thanksgiving in 1991, with the Ghostbusters team training the player's character while investigating paranormal activities in New York. When using the HLE sound engine, voices may be pitched too deep. Use LLE to fix this. Corrected prior to 5.0-6004. The graph below charts the compatibility with Ghostbusters: The Video Game since Dolphin's 2.0 release, listing revisions only where a compatibility change occurred. This page was last edited on 16 January 2018, at 12:40.